DON’T BE AFRAID TO USE A SEMI COLON! Do you know why a semi-colon is used in the first sentence? It is separating two independent clauses, or complete sentences. A semi-colon creates a full stop in a sentence, unlike a comma, which is used as a pause. When it comes to using semi colons in writing, most errors are made when the writer fails to understand the difference between an independent and dependent clause. The name of each clause offers clues to their uses. Once you understand clauses, semi colons are a snap. Even a short three-word sentence can be an independent clause if it contains a subject and verb, as the examples do above. Don’t be fooled by the length of a sentence, but consider, is it a complete thought? Dependent clauses cannot stand alone as a sentence. They are dependent on other words to complete a sentence. When James plays the guitar. If the window is open. These examples are dependent clauses. They are not complete thoughts and need more information in the sentence for them to make sense. When James plays the guitar, it reminds me of Jimi Hendrix. If the window is open, flies will get in. It’s time to organize the office, beginning with the files. Now each of those dependent clauses makes sense, as we added independent clauses to complete the thought. Don’t drink and drive; you could lose your license. The dog escaped from his pen; I hope I find him soon. Dinner was a great success; everything turned out perfect. In the above examples, the second independent clause is closely related to the first part of the sentence, so keeping them “linked” with a semi colon makes sense. You cannot separate two independent clauses with a comma, or you would create a comma splice, which is incorrect punctuation and will always be marked as an error. However, you could use a period, creating two sentences. Wrong: Dinner was a great success, everything turned out perfect. Correct: Dinner was a great success. Everything turned out perfect. Correct: Don’t drink and drive. You could lose your license. Correct: Don’t drink and drive because you could lose your license. If both a period and a semi colon would be correct punctuation, how do you know which to use in different situations? Dinner was a great success. Everything turned out perfect. The steaks were tender. Mine almost melted in my mouth. I wish Mom could have come. She wasn’t feeling well. I hope it’s nothing serious. Dinner was a great success; everything turned out perfect. The steaks were tender. Mine almost melted in my mouth. I wish Mom could have come; she wasn’t feeling well. I hope it’s nothing serious. Did you notice you took less of a pause when you got to the semi colons in the second example? I bought shiny, ripe apples; small, sweet, juicy grapes; and firm, Anjou pears. The newest additions to the cast are Josey Wales, who will play Will Davis; Deborah Farr, who will play his wife; and Tom Duffy, Farr’s young love interest. Take care not to use a semi-colon too often. Any punctuation, if used too often, can become distracting. Sometimes it is simply a matter of judgement when and where to use semi colons. If you do incorporate them into your writing, use them sparingly and make sure you are using them correctly. It is raining outside I will bring my umbrella with me. There is a lot of financial aid around you just have to know where to look for it. It’s such a beautiful day I will walk in Memorial Park. We will play tennis tomorrow then we will go out for dinner. She had very high grades in high school she applied to Harvard University. Have you ever wondering what all those symbols are for on your keyboard? If you are sitting in front of a desktop computer, you are most likely looking at what’s known as a Qwerty keyboard, which is simply a standard English keyboard that has the standard layout of letters, numbers, and punctuation, including braces, brackets, and parenthesis. Generally, braces, brackets, and parenthesis are used to set off additional or optional information in sentences. The writer may need to add words to clarify meaning, make the sentence read more clearly, or make a comment or correction to quoted material. For informal writing, you might have seen them used interchangeably. However, in more formal writing, such as academic writing, each symbol has a specific usage for specific situations, in specific fields of research. In academic writing, square brackets have many uses. When the writer feels the need to add clarifying information, to provide context, or to correct printed mistakes, square brackets are used to indicate the change in the original text. Mary Constance, in an essay on extraterrestrials, states, “Some people [who have UFO experiences] may have very clear, vivid memories of their captivity” (98). In this quote, “Some people” is taken out of context, so the additional information, “who have UFO experiences” is added for clarification so that the read knows exactly who some people are. Researchers at the Institute of Technology walked out of the presentation, saying they were extremely [emphasis added] disturbed by the images. The brackets above indicate to the reader that the italics that are emphasizing “extremely” have been added by the writer, and not the original author. Sic immediately follows the misspelled word above. Walker, Janice R. “Columbia Online Style: MLA-Style Citations of Electronic Sources.” 1.2, Nov. 1997. 10. Dec. 1997 <http://www.cas.usf.edu/english/walker/mla.html&gt;. Note that in the music example, there are 3 sets of items, so the braces separate each set. Then the entire 3 sets are enclosed in square brackets, which serves to “hold” the 3 sets of items that are in braces. Braces are also used in mathematics, logic, and linguistics to set off groups of numbers, letters, or items in a set. Braces are often used in computer programming to show what should be contained within the same lines. Most everyone knows what parentheses are and has used them at some point in their writing. Of the three, parentheses are the most commonly used punctuation in formal and informal writing. Parentheses are most commonly used to enclose an explanation or afterthought which relates to the main message of the sentence. The use of parentheses is often a judgment call. If you feel incorporating an explanation might interrupt the flow of the sentence, place the information inside parentheses. Jason B. has been ticketed three times for drunk driving, though he still holds a driver’s license (all three tickets were in school zones). Starlight Bakery chain (in both North America and Canada) have reported a 220% increase requests for gluten-free products since 2010. Use a comma between coordinate adjectives (adjectives that are equal and reversible). Jessie (truant and a runaway) turned sixteen in the youth center. Monique (was that her name?) never looked up from the ticket counter. Brown says that no textbooks were discarded after the regulations were put in place (78). If anyone has any information about the person(s) who committed this crime, please call the sheriff’s office. The mission of Mothers Against Drunk Driving (MADD) is to stop drunk driving. The sect known as the Jansenists (after Cornelius Jansen [1585-1638]) faced opposition from both the king and the pope. In many instances of informal writing (and even formal writing), you might find that curly brackets and parenthesis are used interchangeably. When writing in academic situations, however, be sure and follow the guidelines for the citation style you are using, be it MLA, APA, AP, Chicago, or others. Each style has its own preferences, but some make no determination of how each kind of punctuation should be used. In that case, use whichever works best for your situation. Although I am the last person you’ll find speaking formal, or “proper,” English, I probably do spend more time thinking about grammar and punctuation than the average person. Even though I speak what is considered slang or conversational English, as someone with a background in English, I admit I sometimes notice other people’s mispronunciations. Interspersing slang or colloquialisms in our conversations is a matter of preference and personality. Using made-up words in writing or speech, however, is an error, and that’s different. Read on to see if you’re guilty of using words that aren’t really words. This is one of the most common errors I hear in speech, and it often transfers to writing because it’s so darn common. It’s an error because supposably is not, has never been, a word. It’s supposedly. This might be the second most common error, after supposably. 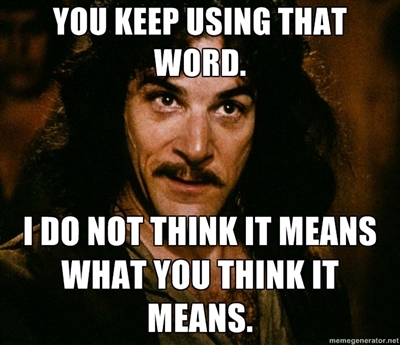 Irregardless is not a word either. It’s regardless, which means “irrespective” or “nevertheless.” It could have started from the related meaning to “irrespective,” but that’s a guess. Though “upmost” is a word in British and some English dictionaries, it’s used as a shortened version of “uppermost,” an adjective meaning “highest” or “top,” as in, “We are on the upmost floor of the building.” However, according to many grammarians, this is an old, archaic word that is only now used when the writer actually means utmost. I recently read a student’s narrative essay that described his room’s “chester drawers.” This is one of those errors that we translate from spoken to written word, though even saying “chester drawers” will raise eyebrows in certain circles. It’s chest of drawers, which makes a lot more sense. This is a word that worked its way in to written form from mispronounced speech. The correct use is et cetera, which is Latin for “and” (et) “the rest” (cetera). The abbreviated version – etc. – is often used in academic essays, but many instructors will request you to omit its use when possible. If you are writing out a list of 3 or 4 items and feel “etc.” is needed, it most likely isn’t. Just write out all the items instead. Okay, I admit I’ve pronounced it with an “x” forever, but I don’t drink it, so no barista has ever corrected me. However, I’ve seen it infiltrating writing, so we have to stop. It should be, “I have two espressos every morning.” Most people, like me, pronounce it with a hard “x” – EXpresso, but it should be an “s” – espresso. But I’ll bet you coffee aficionados knew that. It’s shocking how quickly erroneous speech patterns can begin to creep into our written phrases. Even though we speak imperfectly, most serious writers agree on correct and preferred forms of a word. Carefully consider if your usage and spelling are correct before you turn in your final essay. You’ll undoubtably – I mean undoubtedly – have a better final paper! Last week here at Writing Center Underground, we discussed how to format written dialogue for your narrative essay. This week, we’ll look at the qualities of effective dialogue. When composing a narrative essay, dialogue is an essential component for creating an engaging story. Without the spoken words, the reader can’t “hear” the characters (the real people who you are introducing to your audience) and get to know them. Simply summarizing what a character said isn’t as engaging or interesting as direct dialogue between characters. Is it DOING MORE THAN ONE THING? “I had a full day of activities, Mother. My teacher was quite stimulating, and recess was especially delightful,” I said. “How was school today?” mom asked. The first example obviously sounds stilted and formal, unlike how most families speak. The second example is more realistic. Some writers might choose to even use slang in their speech, such as “I dunno,” or “Kinda good,” but be very careful of overusing phonetic substitutes, as it becomes a bit tedious to read and runs the risk of characters sounding illiterate. “Hi Jim. How are you?” I asked. “I’m fine. How are you?” Jim said. “What wrong?” Jim asked, concerned. “It’s my dad,” I said, breaking down. In this exchange, the everyday-ness of the previous example is avoided. There may have very well been niceties exchanged, but in written dialogue, the writer must compress time and get to what’s essential. Here we get tension, we get emotion, and the narrative is propelled forward. Which leads us to essential element #3. Dialogue, whether in fiction or nonfiction, isn’t meant to simply allow characters to “speak.” If this is all it’s doing, then it isn’t doing enough. Dialogue should draw a characterization. 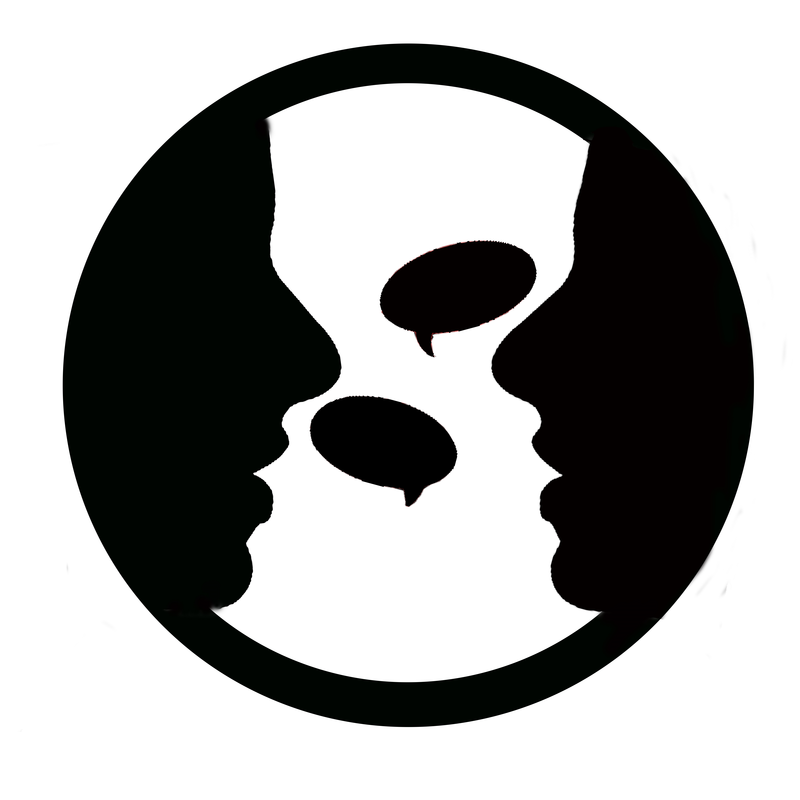 This means that the dialogue works to show traits of the person speaking, or the relationship between the speakers. What they say, how they say it, and the tone they use provides the reader with lots of information they wouldn’t get otherwise. “Something funny ‘bout that gal,” Paul D said, mostly to himself. In this exchange, Morrison avoids speaker tags, except in the first line to set up the exchange. This “he said, she said” can take away from an otherwise engaging exchange, and here, it isn’t necessary. Also notice that the two people speaking have distinctly different styles, so it’s easy to differentiate each speaker from the other. “What’s the capital of Spain?” Jerry asked, pausing over his crossword puzzle. When you’re writing dialogue for your narrative, consider why you are incorporating each exchange and know what your purpose is for including it. If it isn’t essential, leave it out. There really are no secrets to writing effective dialogue, but knowing who your characters are and why you are incorporating every exchange will help you in determining what to leave in and what to take out. Avoid phony or forced speech, and use speaker tags thoughtfully. When you’re finished, read your essay aloud to “hear” what you’ve written. Try reading some essays or short stories to see how other writers do it. Follow these steps, and you’ll be writing dialogue like a pro! Below is a brief reading list of some of the greatest writers of dialogue you might study. “Hills Like White Elephants” – Ernest Hemingway. “What We Talk About When We Talk About Love” – Raymond Carver. Anything by Elmore Leonard or John Steinbeck. When composing a narrative essay, you have to tell a story. In telling a story, it’s always more effective and engaging to tell the story in recreated scenes. In scenes, you’ll have people, and those people have to talk. Writing a scene where people talk to each other sounds simple, however, writing dialogue can be complicated. Do you include author tags, like he said/she said? If not, how can you tell who is speaking? If more than one person is speaking, how do you format the interchange between two people? How do you format the interchange between three or four people? What if you’re just talking to yourself? (I talk to myself all the time, but I wouldn’t want to put it in quotes!) Is talking to yourself considered dialogue? Are you confused yet? Note that in this example, a comma is placed after the speaker tag. The first word in the dialogue is treated like the beginning of a sentence, so the first word is capitalized. The quote is ended with a period which is placed inside the quotation marks. “I’ll call you tomorrow,” John said. Here, use a capital letter to indicate the beginning of a sentence of the quotation. A comma is placed at the end of the quoted dialogue, inside the quotation mark, before the speaker tag. A period completes the sentence, but after the speaker tag. A capital letter indicates the beginning of the sentence, and a comma ends the quoted sentence before the speaker tag, followed by a period after the tag. The quoted sentence after the tag is again capitalized just as any sentence would be. Note that the second part of the quote remains on the same line. This indicates that the same person is speaking. If a different person was speaking, the second piece of quoted material, “Have a nice day,” would go to a new line/paragraph. When two or more people are speaking, each line of dialogue must go to a new line or paragraph. It’s a new “paragraph” because each time a new person speaks, the line must be indented. “But I thought you might stay,” Diane said. “Mom! I need a drink of water!” Diane’s daughter yelled from her bedroom. Even though the lines are short, they each must begin on a new line. Note that two exchanges have no speaker tags. In this example, it is clear who is speaking, as each person’s name has been given previously, and the order of exchange established. Only drop the tags when it is clearly evident who the speaker is. In the final quoted dialogue, notice that the quote ends with an exclamation point. The exclamation point (to indicate yelling) is placed inside the quotation mark, and no other punctuation is used until the end of the tag. “Mom! I need a drink of water!” her daughter yelled from her bedroom. “Mom! I need a drink of water!” The young daughter, tucked in her bed, never went to bed without at least one request for water. Also note in this example that the tag remains on the same line as the dialogue, as the “action” described in the speaker tag is related to the speaker who has been quoted on the same line. If any action needs to be described of John or Diane, that action would be placed on a new line. Even though we’ve all spent a lifetime reading, until we actually have to write dialogue, we don’t often realize the intricacies involved. How do you decide where to place a dialogue tag? That’s often a stylistic choice, and not necessarily any hard and fast rule. I often incorporate the tag where it seems least intrusive. A speaker tag, when necessary, should be as “invisible” as possible so as not to detract from a smooth reading. Next week, we’ll delve further into writing dialogue, and discuss the secrets to effective dialogue.